Welcome to autumn, or better known to us here in America as fall. It’s that time of the year when (hopefully) the crazy heat of this past summer is on its way out, and cooler temperatures are setting in. 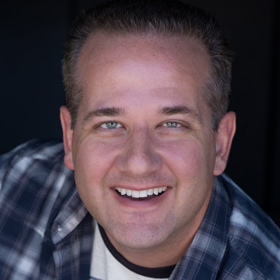 If you’re a father like me, you’ve probably sent your kid back to school and are in the full swing of things with their after-school and weekend sports commitments. You’re probably also already thinking ahead to what’s next—the holidays. I certainly am! It’s around this time that I realize how quickly the year is going by. Almost two months since putting my daughter back in school, I’m asking September and October, where did you go, sir? I’ve already had to deal with expenses of school supplies, new clothing, and excessive fees for things that don’t even make sense. There’s more to come, I just know it. Every year I’m shelling out more and more, and swiping my card more and more… although now it’s more inserting my card into a chip reader. Recently I started test driving cars from GM for my car reviews at Duke’s Drive. My current truck is twelve years old now, and while it’s still going strong, I know it isn’t going to last forever. I’ve got to start planning for a new vehicle, a few years down the road, starting now. 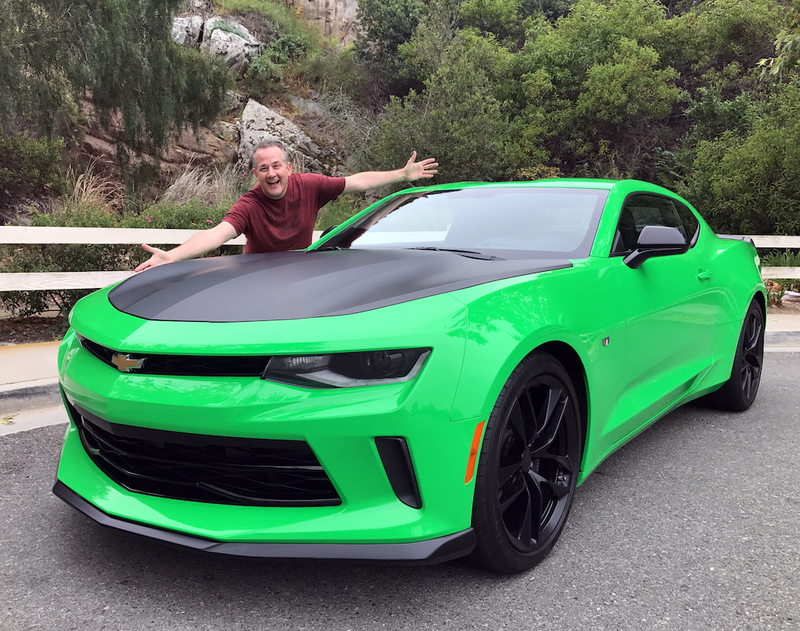 That Camaro I drove has been on my mind since I test drove it for a week. There’s no way I can afford it now, though. In fact, according to a recent GM BuyPower Card survey only 1 out of 5 people have already saved money towards a new vehicle. If only there was a way to help cut down the cost of a new one! Where am I going here you ask? What’s in my wallet these days is significantly impacted by this time of the year, and what’s coming up sooner than later (the holidays). The things I know I’m going to need later (like a new vehicle) have to wait. But what if while I’m waiting and spending money on everyday purchases, I can be accumulating Earnings toward a new GM vehicle? Thankfully, there’s an answer. It’s the GM BuyPower Card from Capital One and its reward structure (and my dream of owning that Camaro) is what led me to apply for the card myself. Here’s the deal: you accumulate Earnings*, with every dollar spent, that can be put toward the purchase or lease of a new Chevrolet, Buick, GMC or Cadillac vehicle. Cardmembers earn 5% back on the first $5,000 of purchases each year, then 2% unlimited beyond that. Plus, there are no limits on earning, your Earnings don’t expire for the life of the account, and all GM dealers participate in this program, so you don’t have to worry about going to a specific dealership to cash in on your Earnings! So stop thinking about it, and start doing it. 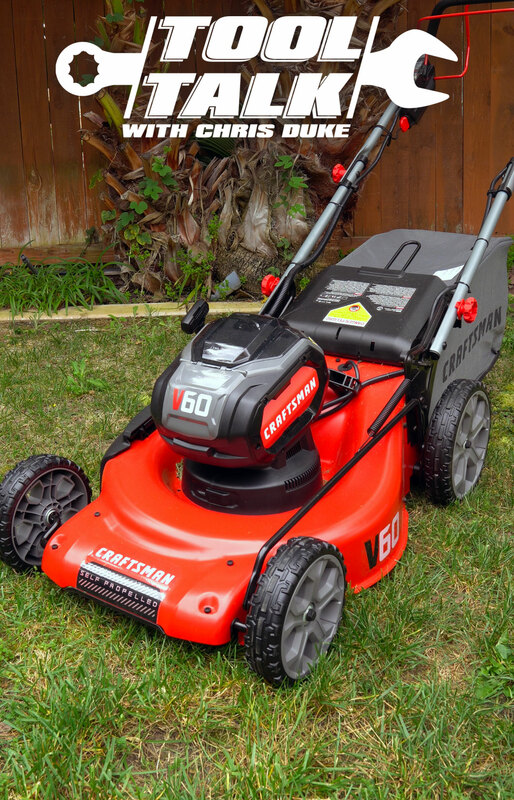 The sooner you start, the sooner you will be closer to being able to afford a new GM vehicle because all those required expenses of normal life (like that new lacrosse stick) are going to get you closer with every dollar you spend on your card. I was recently approved for the GM BuyPower card and I’ve already started to accrue Earnings to help put me in the driver’s seat! Go to https://www.buypowercard.com like I did, and sign up online today. 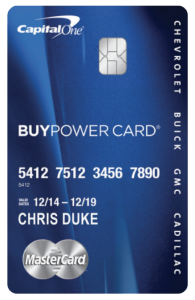 * BuyPower Card Earnings may not be used on fleet vehicle incentive programs or with some other offers and discounted sale programs, such as the GM Employee Discount. No Replies to "Fall-ing Into a GM"